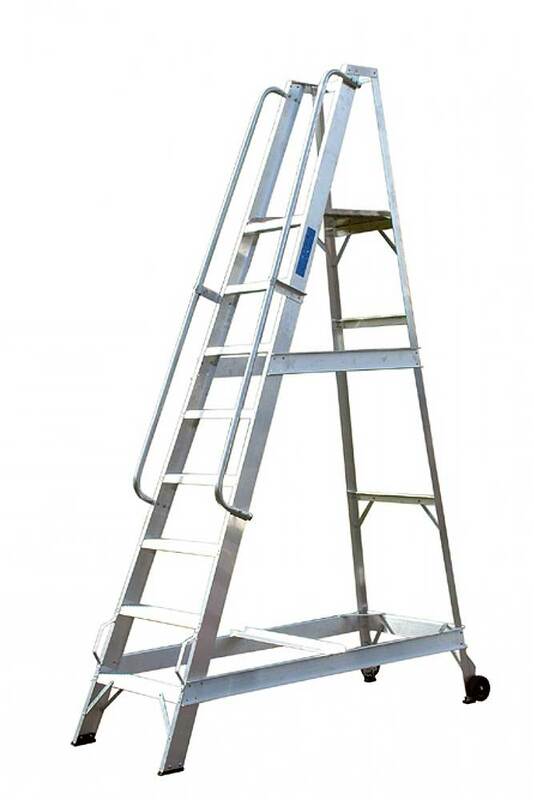 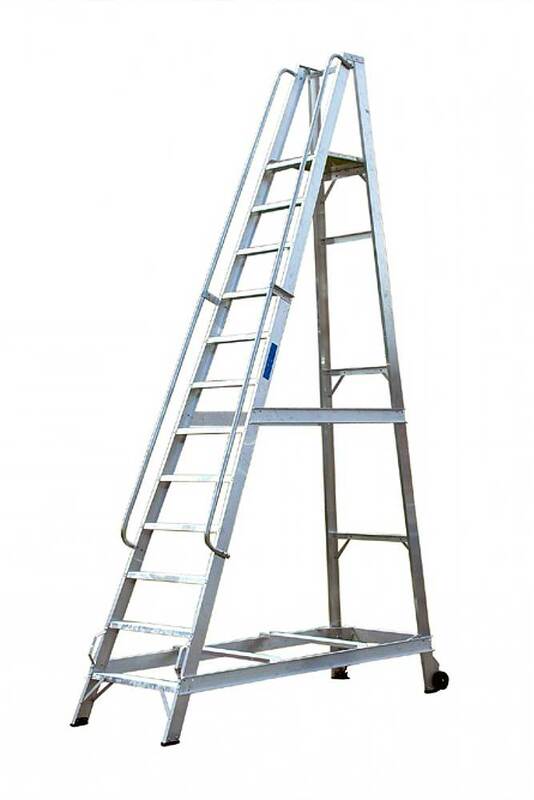 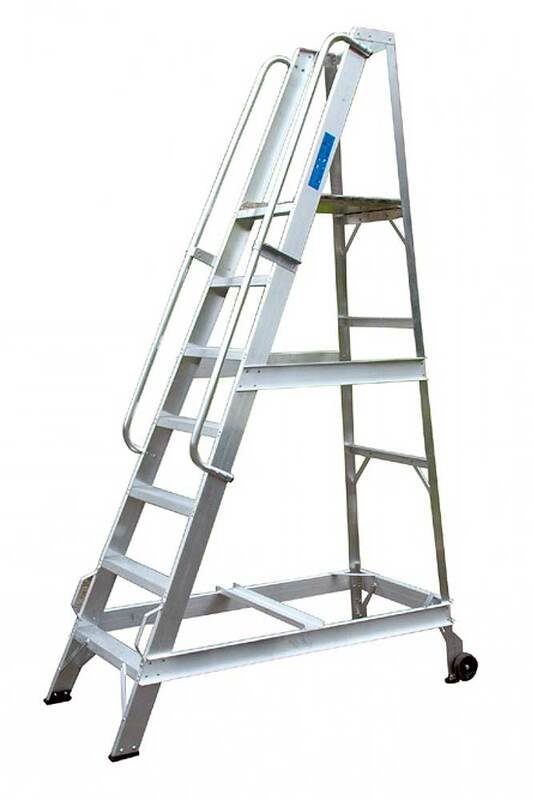 This Platform Ladders series comes in a range of sizes from 5 treads to 14 treads. 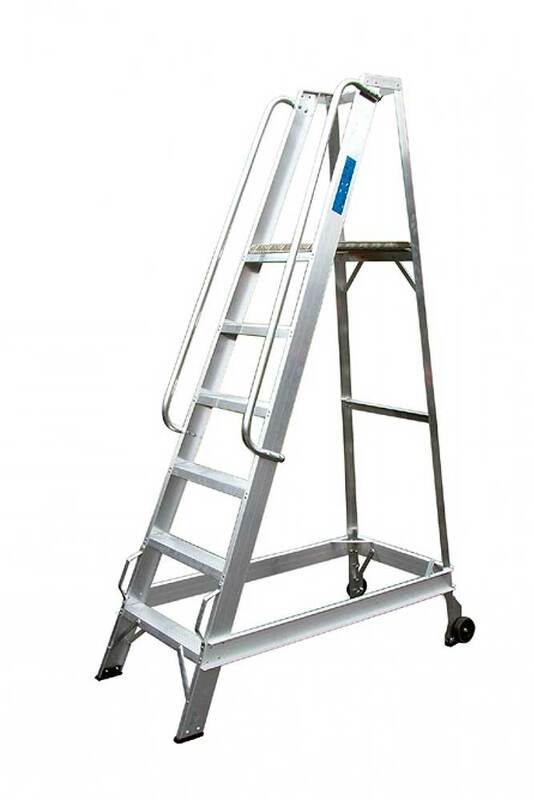 It has a large 450mm by 360mm platform which is fully enclosed. 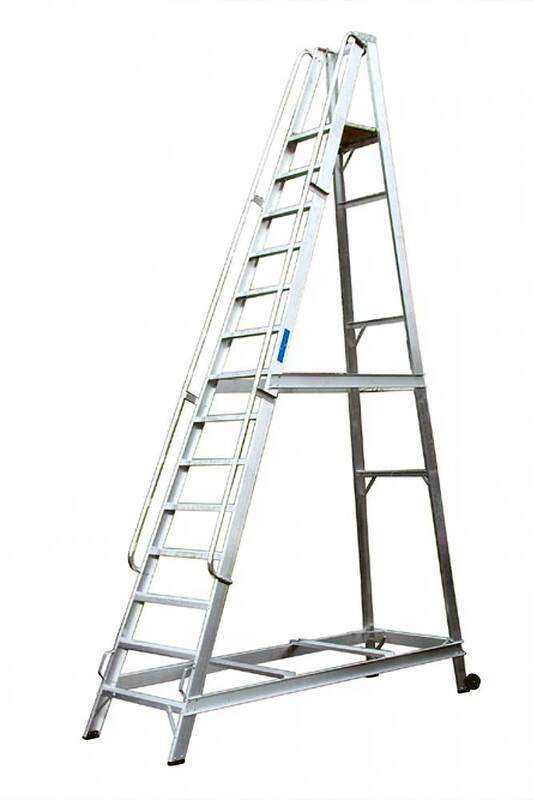 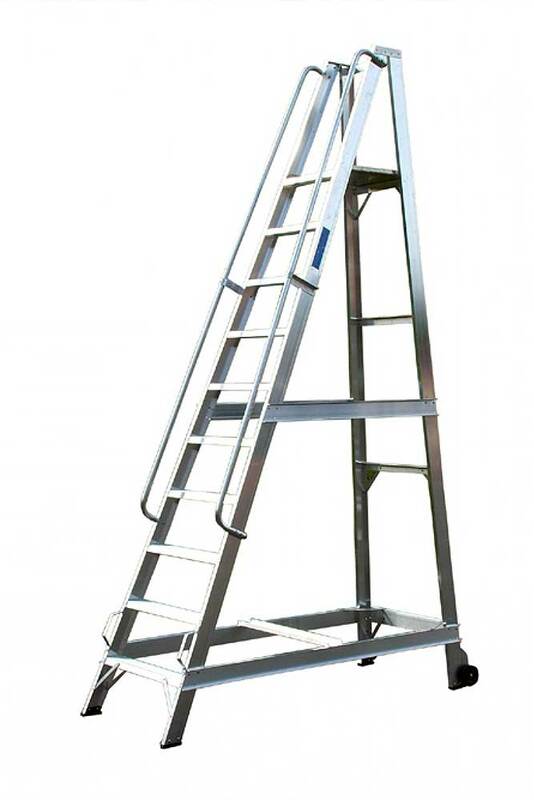 This ladder type is fitted with double handrails for secure climbing, with simple tip-n-push wheels for rolling the ladders around site. 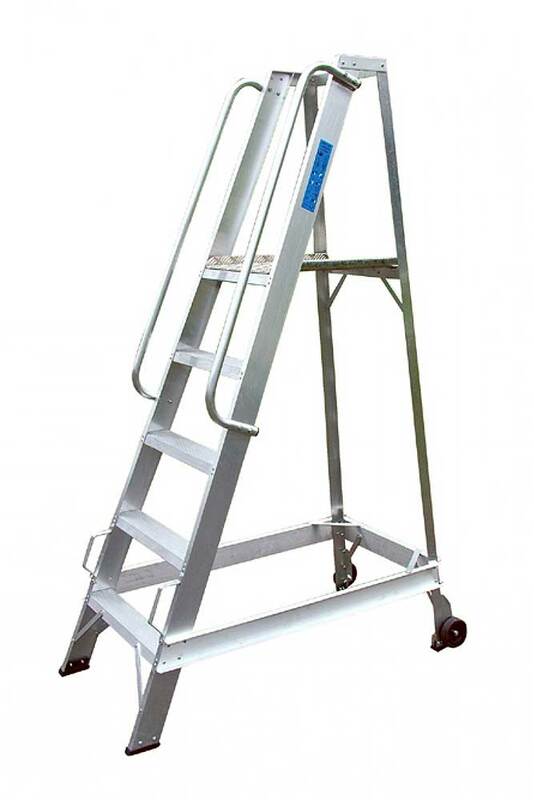 These platform ladders are transported as a flat-pack and require some simple assembly on site.